In this article I am going to discuss about some key point which should be followed while creating a website. Lots of website available online for every single niche, so standing out between them is quite difficult. Have you ever think for a while why they are so success? Many people say they come first in the search engine, is it really true? I think may be but not fully. Follow the below point and make your site successful too. Only choose Trusted Author Theme to make website, as you know WordPress filter the theme author, to remove burden of Review team. We are happy to announce that ThemeHunk is now Trusted Author at WordPress, to know more about Trusted Author, You can read this article. Choose a best Hosting service provider, web hosting play an important role to enhance user experience, it also decides performance of your site, so be careful while taking a Hosting service for your site. You can check this article it will help you to select best hosting of your need. Choose a best suited domain name for your site, always use domain name that define your work, for example we are theme based company, so our URL is https://themehunk.com/. As usual you can choose the domain that not too long and define your business also. a) Deciding site design as per your niche, for example – if you are designing a fashion site then you can choose contrast colors and if you are using business site then use decent colors. b) Create a logo that make sense means your logo suit at your domain. In other words it define your branding. As make sure it look good on social media because to make your site viral you need to make a regular update on social media. c) Do not use too much animation; using too much animation makes your site uncool. I always suggest using very decent animation effect and if it is not needed try to avoid it. d) Do not use more than three font-families at your site or it is better to use only one font with different font-weights. e) Add your text using paragraph and also choose white background color (#f7f7f7) instead of full white to write your content, It’s looks good. f) Do not use capitalize text at your site, just use normal heading, it looks professional. g) Make consistency of everything you are using at your site, like heading sizes, buttons used at site, color, typography, backgrounds and if you are using multiple sections then you can use even odd order background- color instead of using new color for every section. h) If you are making local business site then, you should use Lead Generator in your site. Logic is simple of using Lead generator is More Leads = More Business = More Money. You can try Lead Form Builder plugin for that. Add Tracking code at your site, you can use any tracking code plugin that will simply allow you to add the tracking code without editing any theme file. Use SEO plugin, SEO play a very important role to make any website viral, so you can install Yoast SEO plugin or All in One SEO plugin. Both are good plugin for SEO, you can try any one from it. a) Use unique content, always make your content unique, it will help rank up site in search engine and opposite duplicate content will down your site rank, you can check your content is unique or not from this site. b) Keep updating your content at site, WordPress is post based. It is very good for SEO to publish new post daily. Make site secure, we need to follow just few steps to make our site hackers proof. Please check this article to make your site secure. 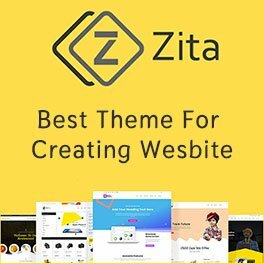 I tried my best to add all the points for guiding you for a perfect WordPress site but still need your comment if any point i have missed, so i can improve this article.